As American conservatives tighten their grip on The United Methodist Church, will Progressives continue to be seen as “less-than” Methodists? In 1969, the third season of the Star Trek television series, the Enterprise happened upon two wayward spaceships that had two strikingly similar aliens on them. The aliens had distinctive faces that were half black and half white, but the two aliens had the contrasts on different sides of their faces (see picture above – note: I got a comment about “blackface” which I apologize for the visual association but the context critiques that very practice). For the entire trip back to their home planet, the aliens fought and fought because of this difference. When they arrived, they saw their planet had been completely destroyed by the war between the two 99.999% similar people. They were the only two left of their race (or as they saw it, races). While hatred is not any sentiment I have felt by brothers and sisters in Christ, the act of seeing people you disagree with as completely “other” and “not part of your people” is an increasingly lived experience for progressives in The United Methodist Church. One progressive activist talked with a young international delegate with whom they had a friendly relationship. They were talking next to the coffee shop when suddenly, the delegate looked over their shoulder and said “I must go. Goodbye” and walked away quickly. The activist turned and saw three members of his delegation walking his way, averting their eyes from the activist. He said “It felt like I shouldn’t have been talked to by my friend.” And why should he? He was one of them. One progressive delegate (full disclosure: me) sat with an African delegate at the airport while reviewing a worship service we were doing together with other delegates from Africa, the Philippines, and Portland. A renewal group staffperson walked over and fake-talked into his cell phone while really close to us (I could see email app open–c’mon man, up your game!) so he could hear our conversation. I wasn’t someone who Good News wanted to be talking to an African delegate–I was one of them. They have already set themselves apart as the true church in the councils of the denomination by donning their own dress code as a badge of a new identity. Many of them display all the hallmarks of the sects of old in zeal and bigotry but do not have the courage to leave the church from which they are radically alienated. Like a nature scene commentator describing an animal on foreign soil, progressives are depicted like an aboriginal tribe with quaint customs, while using warm “us” language to describe one’s in-group. Abraham is now one of the principal thought leaders of the Wesleyan Covenant Association. By “othering” we mean any action by which an individual or group becomes mentally classified in somebody’s mind as “not one of us.” Rather than always remembering that every person is a complex bundle of emotions, ideas, motivations, reflexes, priorities, and many other subtle aspects, it’s sometimes easier to dismiss them as being in some way less human, and less worthy of respect and dignity, than we are. It’s essentially tribal thinking, where the out-group threatens the in-group whether they are 99% identical or 50% different–and it is present in the Bible. This psychological tactic may have had its uses in our tribal past. Group cohesion was crucially important in the early days of human civilisation, and required strong demarcation between our allies and our enemies…there’s a powerful evolutionary drive to identify in some way with a tribe of people who are “like you”, and to feel a stronger connection and allegiance to them than to anyone else. 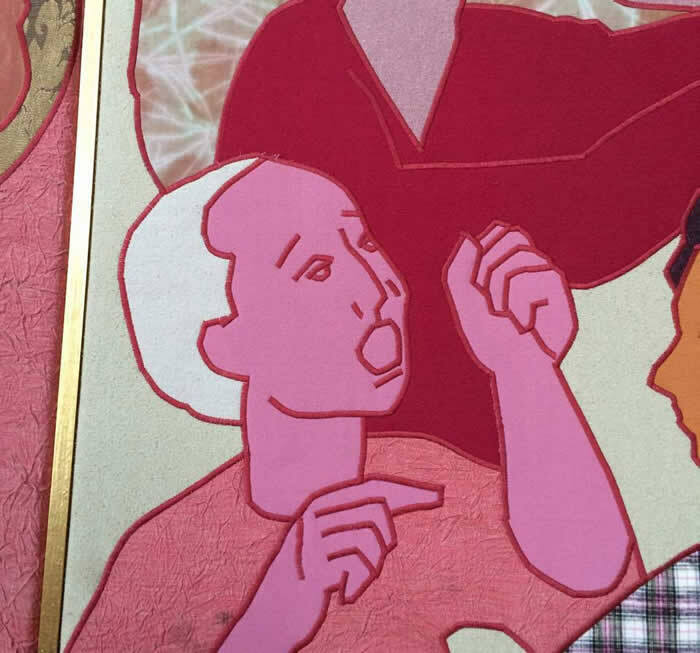 Othering began in Scripture with Genesis 11 where Babel scattered the people who sought to build an affront to God, but was wiped away with the vision of the Kingdom at Pentecost in Acts 2 where all heard the same language, which finally culminated in Revelation 7 when every nation, tribe, people and language gathered before God together. Othering is no more in the Kingdom of God…and it shouldn’t be on earth either. The reality is that very very little separates average moderates, progressives, and conservatives in United Methodism. 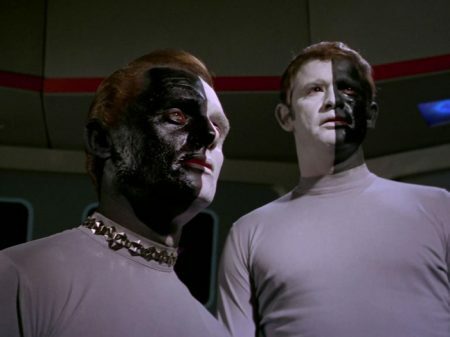 It may be that the online community are the outliers: the extremes of left and right that more personify the Star Trek conflict with one another than the average Methodist. Entirely possible. But I fear this type of “othering” being done may be more a matter of “Do unto others what was done unto Us” in United Methodism. Until their takeover of United Methodism in the late 1980s, American Conservative Evangelicals complained of similar othering behavior towards them by the mainline leadership. While I cannot verify individual anecdotes or have data to quantify it, I’m certain it happened as we all share this human tendency. Will they allow the culture warriors of “us/them” of their past to continue to denigrate progressivism from United Methodism? For a perspective that always claims the biblical and moral high ground, will they continue to take the low road that previous generations complained of? Is this type of retribution “all they have left” to give their longtime conversation partners? Time will tell if the new guard is the same as the old guard, and if progressives have more “othering” to endure going forward. My hope is that we are not driven by our lesser angels to the point of division over tiny deviations in our Wesleyan makeup. My hope is that it does not happen again either for my church just as we may be on the cusp of finding new ways to live together. Jeremy, thanks for sharing your experience. It helps to recognize and call out behavior unbecoming of Christian fellowship. One note of disagreement – othering begins in Genesis 3. Adam points to the woman and says, “The woman you gave me, she gave me the fruit.” The woman turned to the the serpent and said, “It was the serpent who deceived me.” Instead of all of God’s creatures being one, they chose to put one another away from themselves. Just my take on Scripture, though. I felt this was the first example of not taking responsibility for our actions. “not my fault, blame him”. The process of “Othering” in the United Methodist Church in my experience is unrelated to social or political position it is a practice of the system itself. Our very structure empowers the process of “Othering” as you call it. Let me suggest you see “Othering” of progressives at the very time your language does the “Othering” of conservatives. It is the old dichotomies being worked out. The phrase that struck me most strongly in light of our ongoing struggles was the fact that we ordained are in a “covenant of mutual care and accountability” with our ordained colleagues. Somehow, we seem to have lost a concern for the “mutual care” aspect of our covenant while overemphasizing the “accountability” aspect – but not, oddly, accountability to the obligation to show mutual care. Was it “mutual care” that brought about the insertion of the “incompatibility clause” into the BoD? Was it “mutual care” that ignored the results of the work and recommendations of the Committee to Study Homosexuality? Was it “mutual care” that moved the incompatibility language from the Social Principle “guidance” to the actionable “chargeable offenses”? All along, it seems that the past 44 years have been short on the mutual care portion of our covenant and longer and longer on the accountability. And even there, it seems the side that emphasizes the importance of accountability doesn’t want to be held accountable to the portions of the covenant that don’t serve its own purposes. Now, I know that last comment could be seen as cutting both ways. But the reality is that it cuts only one way, because the power differential is what determines actionability and, therefore, accountability. When those in power are also those who can determine the content of the covenant that should be enforced and that which should be ignored, it becomes despotism and merits no place in the Church of Jesus Christ. Methodist church is killing itself off. We are less of a force than we Used to be. Pastors are becoming a thing to be pushed out if they go against the grain too much . I say this from personal experience . You elect a person to the episcopacy who is in violation of the Discipline. Either the Judicial Council will remove her or somehow ignore all of her public statements. A number of conferences and BOOMs in the Western Jurisdiction say they are “non-confirming” to the Discipline therefore setting themselves apart. Lonnie Brooks asked GCFA for an analysis to confirm what we all know: the Western Jurisdiction does not pay for their own bishops much less make ANY contribution toward the connectional obligation of the central conferences and the retirees. So, you want to do what you want to do while asking us to pay for Bishop Talbert and (for at least a month) a Bishop Oliveto. But, traditionalists are the ones treating YOU as the “other”??? You are setting yourselves apart but wanting the rest of us to subsidize you. That is simply unsustainable. I think we all need to work to avoid “us/them” dichotomies and work to see those we disagree with as people who are sincerely seeking to serve Jesus. Evangelicals can be guilty of that just like everyone else. Having said that I don’t remember Conservatives setting up “other” communion stations at General Conference. From where I sit I see the “other-ing” happening from the progress end of the spectrum. Including all of the non-conformity actions and the election of Karen Oliveto. If we sit “in the middle” then we do see things very differently. Getting up from where we sat before, and going to the middle is not an easy thing to do for many of us. I mean, for those of us who are gay/lesbian/other, AND for those who have (for all our lives in most cases) been strongly of a belief that opposes the belief held by those who are gay/lesbian/other. The middle seats are THE Methodist seats. Look at the country Charles, John and all their siblings came from. This conservatism versus evangelicals issue is not so visible, nor is it so devicive in the UK. As an English Methodist who saw a 16 year old church member take his life, and as a UMC member, I find the whole debate rather exhausting. When I go to a meeting at a UMC in a city here in the US (could easily be UK) and I see a man sleeping, in 90 degree heat, on the metal fire escape door stairs, under a dirty blanket… That is when I wonder what Jesus would say. From my middle seat, I wonder if we will get our priorities right. Regarding the “ignored the results of the work and recommendations of the Committee to Study Homosexuality” comment: This committee failed in it’s primary objective – to present a unified and unanimous statement on human sexuality. While there were a few, broad areas of agreement, the the fundamental dividing issues continued, with the committee making two closing statements. America’s Civil War ended the legality of slavery, but it did not put an end to racism. 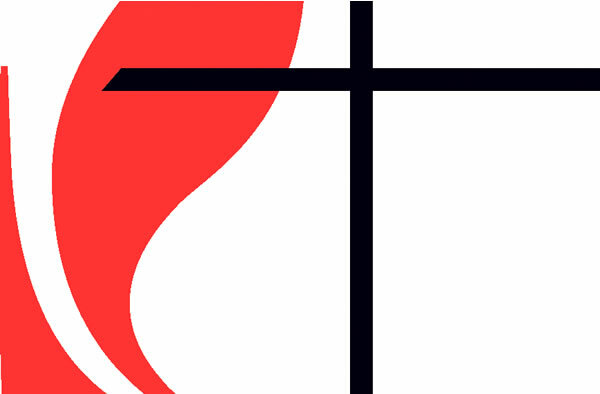 The UMC is an organization bounded by rules (or laws) to which it members – both clergy and laity – voluntarily subscribe. Neither is morally bound to remain a part of the church, which does enjoy democratic processes for change and/or correction. To one extent or another, we believe that “holy conferencing” contributes to these processes, and lends moral authority to the resulting church law – especially when they coincide with our own personal perspective. It seems that we have the choice to affirm, to live within the current limitations while working to effect change, or disassociate if favor of another group that better aligns with our values and beliefs. Adding “biblical” to “disobedience” seems to be a very human attempt to justify doing whatever one wants when they can’t get the rest the body to go along. No matter what the BoD says, there will always be “us” and “others”. We are unlikely to ever get past our flawed human nature. All any of us can do is to recognize its existence, and work as hard as we can to counter it on an ongoing basis. People who swear to uphold rules and then deliberately violate them are others . Those whose word cannot be trusted are others. I do not understand them. I cannot make any deals with them. I do not like being in the same room with them. They may as well be hostile aliens from another world . It doesn’t get more other than that. And here’s Exhibit #4 of the blog post. When progressives held their own “ordination” ceremony at GC, they showed they had no use for the official processes of the church. When progressives inserted their own “special” communion elements into the sacrament of communion provided at General conference, they showed they were no longer part of the church. When Annual Conferences voted on acts of non-conformity, they showed they did not believe in the validity of decisions of General Conference. When the Western Jurisdiction elected a lesbian Bishop who is in a relationship with another woman, they showed they had absolutely no concern or compassion for those that disagreed with them! When progressives demand I respect their position while characterizing me as a hateful, black-hearted, evil, Bible-worshiping bigot who wishes to do them harm simply because I disagree with them, then a line is drawn. So yes, from one who respects the processes of the church, and also respects the rights of others to believe as they see fit, progressives are Others! If you and I had been in the same local church, I would have stopped attending the United Methodist Church a long time ago! We are too divergent in our views. One small demurrer on your Star Trek analogy: The Enterprise crew didn’t beam the two aliens down to their devastated planet. Each used the transporter himself in order to establish his authority over their ruined civilization, but there was nothing left over which to rule — only hatred. Give it up, both sides. It has already happened. There are more divisive issues than homosexuality. As a recently retired elder, I was and am astonished (and hurt) by the extreme conservatism I observed in the churches I pastored. When I asked some of them how, in the light of the gospel, they could continue in their social conservatism, they were genuinely surprised. These are good, loving, generous people. I cannot see myself as “other” than them. And yet…we are, and I say this with sadness. Schism may be yet over the horizon, but the earth is turning.